Seeing that Ventus was present in the age of Fairy Tales led me to investigate BBS, Nomura wouldn't have randomly placed him in union X as one of the dandelions foreteller knowing that this was way before BBS. I might be wrong but what do you guys think? 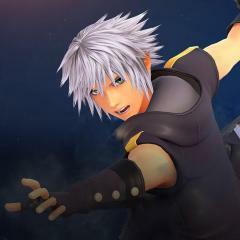 If Nomura knew about what he was going to do since BBS...then KH3 is gonna be real epic! That's not a bad theory actually. Until the story continues though we'll never know. Wow...this is actually something that I hadn't thought about before! This could be a potential explanation as to why Ventus remains young, despite all the years that pass between X and BBS! It could be very plausible, and it could indeed be the reason why Xehanort chose to take him under his wing! Not a bad theory! Kudos to you for thinking it up! If he did open the door, he would possess power beyond belief and probably be one with Kingdom Hearts. He would have dominion over all of the Realm of Light. Citing another theory made on here, I would like to think this is some ancestor that goes by the same name, although i could end up being wrong. That might be it. You may be on to something! Aww and I thought I was on track with my Ventus being a Puppet/Replica theory But seriously, that's a pretty crazy and believable theory you got there. even if they were related and also we did see a lot of connections between trio's ( Riku is connected to terra and go/went through the struggle of battling the darkness in their hearts ) but we've never seen original KH characters that were related as father or mother and son or daughter, BUT seeing that all the foretellers have similarities with current keyblade weilders Invy and Aqua, Ava and Kairi, Aced and Terra, Gula and Sora, Ira and Riku this could also hint that u could be right and that they were today's keyblade weilders's ancestors but then again why would Nomura make ventus the only one that kept the same name? its a good theory but kowing nomura he will find a way to make it so complicated that we need a whole research squad to figure it out. It would be nice thoug if for once it would be this simpel. Question is what is soras reward gonna be?